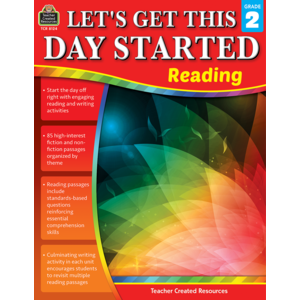 ELA.RF.2.4b: Read on-grade-level text orally with accuracy, appropriate rate, and expression on successive readings. Participate in collaborative conversations with diverse partners about <i>grade 2 topics and texts</i> with peers and adults in small and larger groups. ELA.SL.2.1c: Ask for clarification and further explanation as needed about the topics and texts under discussion. ELA.L.2.2b: Use commas in greetings and closings of letters.